The following is a graphical climatology of New York Central Park daily temperatures, precipitation, and snowfall, from January 1876 into 2019. The graphics consist of summary overview charts (in some cases including data back into the late 1860’s) followed by year-to-year plots that depict daily temperature ranges, precipitation, and snowfall. The uppermost chart on a given yearly page (links below) are “floating-bars” of the daily maxima and minima. Each bar represents an individual day’s temperature range. Superimposed are two line traces, the upper (lower) one connecting 1876 to present average daily maxima (minima). The bars depict the varying diurnal, synoptic, long-wave, and seasonal influences on temperature over time, and some years’ visual features, subjectively, can be quite interesting to look at (see “LINKS TO SOME OF THE MORE INTERESTING YEARS WITH ACCOMPANYING NOTES” section below). The second chart down shows the arithmetic departures of day-to-day mean temperatures (sum of the daily maximum plus the daily minimum divided by two) less the corresponding 1876-present calendar-day average means. Vertical lines extending upward from the zero line indicate above average means for the day (colored red), those extending downward indicate below average daily means (colored blue). In the entire series, greatest positive departure for any given calendar day is +31 F for 5 February 1991, the greatest negative departure -38 F for 30 December 1917. The third chart down shows the second chart’s departures in deseasonalized or “standardized” form. This adjusts for the fact that individual calendar days have higher or lower year-to-year variability in temperature (and departures). To deseasonalize, the departures are divided by the corresponding calendar day mean temperature standard deviations to create standardized departures, or “z-scores”. Standardized departures of plus or minus 3.0 are rare, observed on only 0.2% of the days over the 1876-2012 period (55 positives and 30 negatives). Interestingly, 22 of these 55 positives (40%) are concentrated over the relatively narrow, contiguous 31 March to 28 April span of days, just 29/365 or 8% of the year. As of 2012, the most extreme positive standardized departure is +4.2 for 17 April 2002, the most negative –3.8 for 9 February 1934. 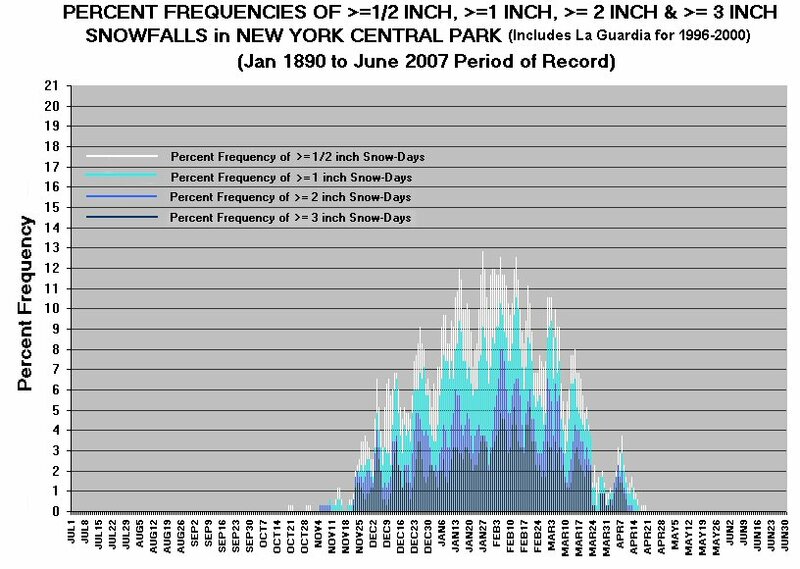 The fourth chart down depicts daily rainfall, the fifth and sixth charts, respectively, showing daily snowfall and snow depths. Central Park snow depth data was unavailable for 1996 thru late 2000, so those for the nearby LaGuardia airport station are substituted. 1876 – In an otherwise cold year, very warm over mid-June to mid-July. 1879 – Great gyrating warm and cold spells over late-September through year-end. 1882 – September wettest calendar month (16.85”) in Central Park history. 1885 – Cold January to March. 1888 – Coldest year in New York Central Park history (1869-Present). 1894 – Highly fluctuating temperature anomaly pattern through course of year. 1895 – Another year of highly irregular temperature anomaly fluctuations. 1896 – Very cold March with 31” snow, but very forward April and May. 1899 – February cold wave of historic proportions brushes NYC, preceded by 16” snowstorm. 1900 – Quasi-periodic two to three-week above normal spells over August through November. 1903 – Very mild March, but coolest summer (June-August) on record (1869-Present). 11.63 inches’ rain over 8-9 October. 1905 – Persistent anomalous cold over late January into mid-March. 1907 – Unseasonably cool mid-May to mid-June. 1917 – Cold year except for hot mid-July through August. Minus 13 on 30 December – record coldest temperature to date. 1917-18 – Coldest meteorological winter (December-January) on record in New York (1869-present). 1925 – Hot spell in early June with near 100 F temperatures. 1929 – Near 90 F temperatures in early April, then sharply colder. 1930 – Highly fluctuating temperature anomaly pattern through course of year. 1931 – Warmest year to date in New York. 1931-32 – Warmest meteorological autumn (September-November) in all New York history followed by mildest meteorological winter (December-January) until 2001-02. 1934 – Coldest calendar month (February) in New York history (1869-Present) with all-time coldest daily minimum (-15 F). Also snowiest February (27.9”). 1936 – Very cold from mid-January to mid-February, but 106 F in July, highest New York Central Park maximum in history (1869-Present). 1938 – 4.05” rain dropped on 21 September, landfall of “Long Island Express” Hurricane. Very mild mid-October to mid-November. 1941 – Sudden burst of summer-like temperatures in mid-April. 1944 – 9.40” rain over 12-14 September. 1945 – Unseasonably mild February through mid-April, then unseasonably cool through early June. 1947-48 – Warmest October in New York history (1869-Present) followed by snowiest winter (63.2”) up to this time. Twenty-five inches depth on 27 December and at least six inches’ depth from 26 December thru 15 February (62 days). 1948 – Three consecutive 100 F plus days in late August. 1953 – Warmest year to date in New York. Prolonged heat wave over late August/early September; 102 F on 2 September. 1960 – Second coldest March of twentieth century in New York (to 1916). 1961 – Warmest September buy viagra overnight delivery on record in New York. 1964 – Driest year on record in New York up to this time (32.99”). 1965 – Back-to-back record dry years for New York – 1965’s annual total (26.09”), 21% less than record-setting 1964’s. 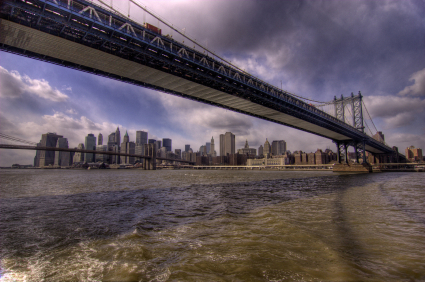 1966 – Warmest summer (June-August) in New York on record; 5.54 inches’ rain on 21 September. 1973 – Late August/Early September heat wave (eight straight days of 90 F or higher temperatures). 1976 – Mid-April Heat Wave – temperatures in mid-90’s. 1977 – Cold January; 9.19” rain over 7-8 November. 1978 – Cold January and February; 34 inches’ snowfall in January (record for any calendar month) and 23 inches in February. 1979 – Cold February, record mild November. 1980 – Very warm from early July into early September. 1984 – Hot Early June, mild October-December. 1989 – Coldest December in New York since 1917. 1990 – Warmest year in New York history. 1991 – Ties 1990 for warmest year in New York history. Warmest meteorological Spring (March-May) since records commenced. 1995 – Very warm July and August. Just 0.28” rain from 29 July through 16 September (50 days). 1995-96 – 1995-96 winter snowiest (75.6”) in history; 20.2” on 7-8 January. 1998 – Second warmest year in history. Five straight 80 F or higher days in March. 1999 – Warmest calendar month (July) in New York history. 2001-02 – Mildest winter (December-February) in all New York history. November 2001 also warmest on record. 2003 – Coldest year since 1978. 2004 – Wettest September (11.51”) since 1934. 2006 – 26.9” snowstorm over 11th-12th heaviest ever for single storm. 2007 – April wettest on record (13.05″); October ties 1947 for warmest in history. 2010 – February snowiest calendar month in history (36.9″), March wettest such month on record (10.69″), April surpasses 1941 for warmest in history by 1 full degree F. Second warmest July. 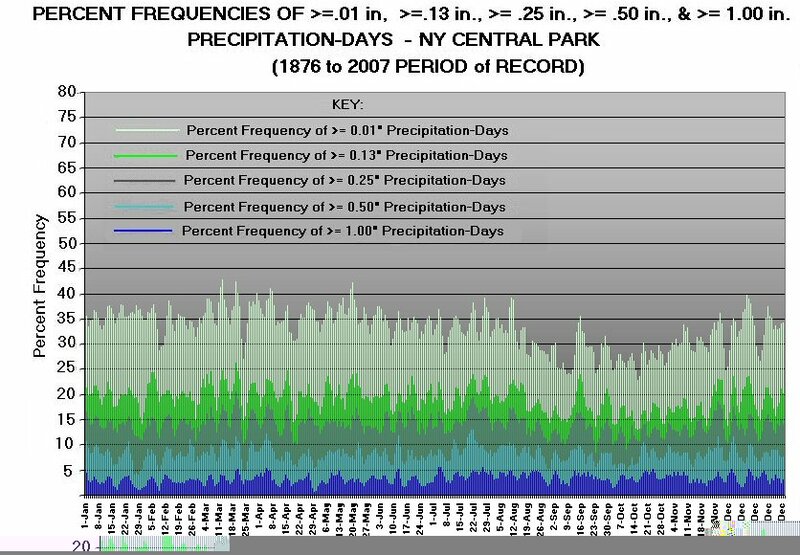 2011 – Wettest year in Central Park history (72.81″). Second snowiest calendar month (January with 36.0″); August wettest calendar month in history (18.95″). Snowiest October on record (2.9″), entire 2011-12 winter with just 7.4″. 2012 – Warmest Year in History by 0.1 F. Warmest February in history by 0.3 F, second warmest March.